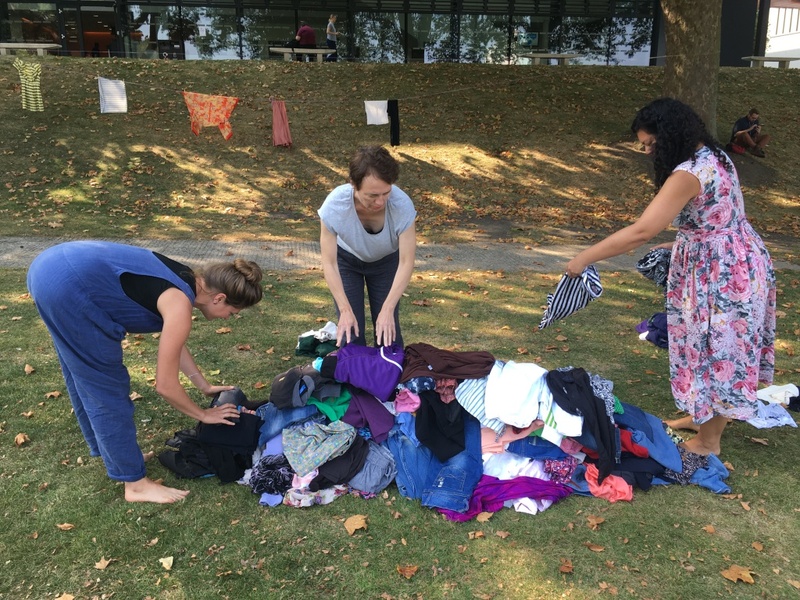 Fashions and Embodiment Workshop, Emma Hoette and I, invited participants to explore relationships between fashion and movement through the acts of wearing and repairing. Using existing garments the workshop activated the tacit knowledge employed in the daily act of dressing and tending to our clothes. In this image we burying each other in clothes.